ONE POUND BAG OF #220 MEDIUM TUMBLING GRIT FOR TUMBLING YOUR STONES. This is a true 220 grit not a mixed grit. 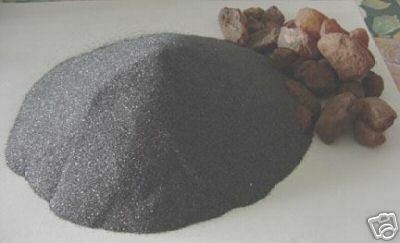 This is a silicon carbide. STONES SHOWN IN SCAN ARE NOT INCLUDED... Check out our booth for the other coarse, medium and fine grits, along with polishing medium (MightyX or Super 10X). We have also added crushed walnut shell and ground corn cob to our auctions.